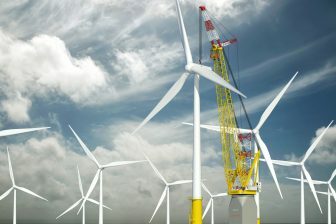 Mammoet has upgraded the lifting capacity at its multi-purpose terminal in Terneuzen, the Netherlands. 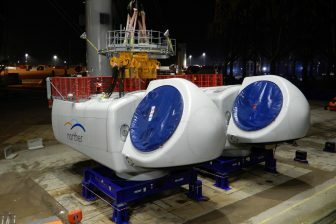 The Dutch heavy lift specialist has installed one its MTC 15 terminal cranes to increase heavy lift capabilities and make the facility less dependent on self geared vessels. The MTC 15 is a fully-containerized crane, easily transportable heavy lift crane which can hoist loads of up to 600 tons at 25 meters. It was designed to bring heavy-lift capabilities to any port capable of receiving containers in a matter of days. 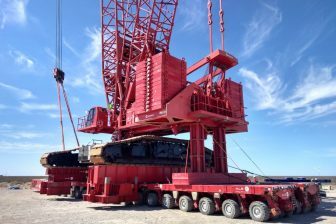 The crane is specifically intended to reduce transport time for one-off projects in more remote areas where heavy lift terminals aren’t nearby. The MTC 15 allows companies to ship their heavy cargo to the nearest container port where the crane can be assembled in seven days. Big advantage of the crane is that it eliminates the need to reinforce quay structures in order to lift heavy loads. 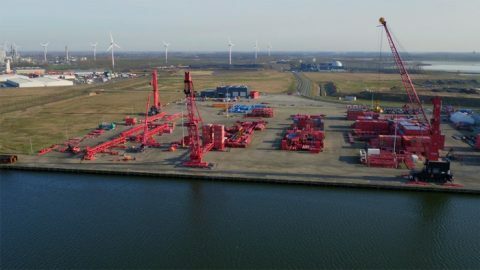 According to Mammoet, the crane also reduces costs, project length and environmental harm by using local resources such as water or sand for its ballast, instead of requiring operators to transport hundreds of tons of ballast from elsewhere. Terneuzen is located between the major European ports of Rotterdam and Antwerp and shares the same hinterland connections.